I know what you’re thinking. 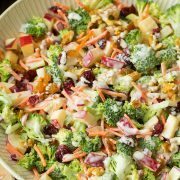 This is totally a fall and winter salad. Well that is true but I crave salads like this all year long, so if I can find the good quality, fresh produce they need then I’m still making them all year long. I mean we should be serving a sweet potato dish of some kind at least once or twice a month all year right? I love every last ingredient in this salad and how well it all comes together, both in texture and flavor. It’s such a satisfying salad and I love the way the creamy lime dressing pairs with everything here, I also can’t get enough of all the gorgeous natural colors in this salad! 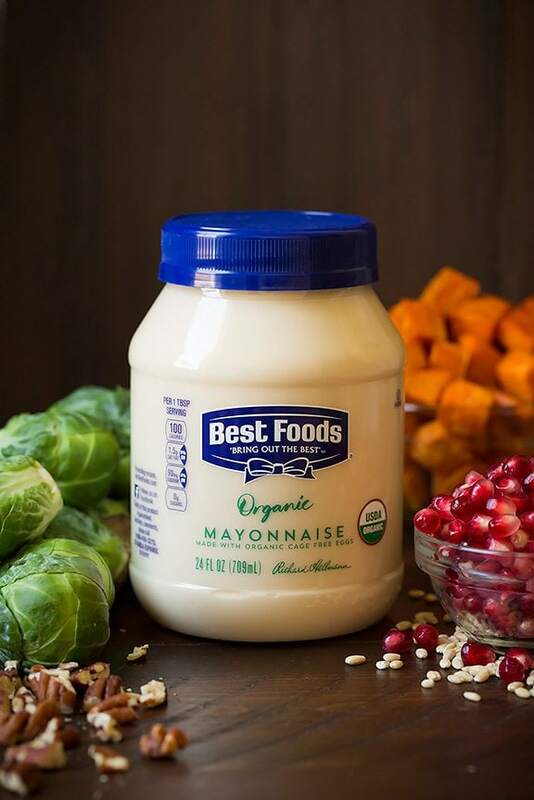 I made the simple salad dressing used here with the new Best Foods Organic Mayonnaise (note that this product is also labeled as Hellman’s Organic Mayonnaise in some areas. Same product, different name). I love that this mayonnaise is made with ingredients I can trust, I also love that it’s made with organic cage free eggs! I started buying cage free eggs about eight months ago so I was so happy to see a mayonnaise that’s made with cage free eggs as well. There are several new Hellman’s Mayonnaises now available at Walmart so be sure to keep an out for them so you can try them yourself! There’s Hellman’s Organic Spicy Chipotle Mayonnaise, Organic Roasted Garlic Mayonnaise, the Organic Original Mayonnaise and there’s also an egg free version which is the Hellman’s Carefully Crafted Dressing and Sandwich Spread. I haven’t tried them all yet but I’m sure that will change in no time! 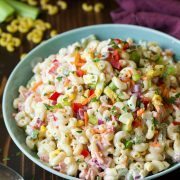 This may not be your typical summer salad but you may as well make it anyway and surprise everyone with something out of the norm! 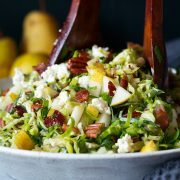 I know if I showed up to a weekend get together and this healthy, delicious salad was there I’d want the whole bowl to myself – forget that boring, skimpy side salad. 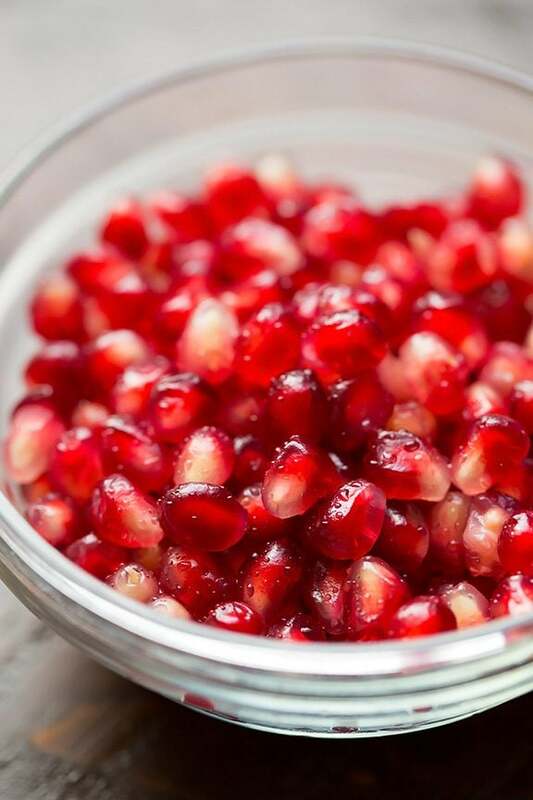 If you are having a hard time finding pomegranate this time of year check the frozen fruit section, you may find some there or substitute dried cranberries until fall and winter roll around. A beautifully colorful salad with a delicious blend of fresh flavors and textures. 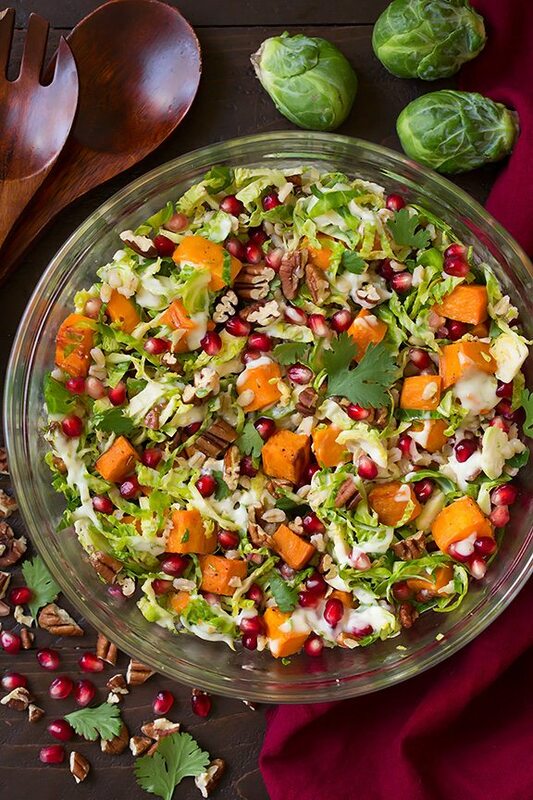 Made with finely shredded brussels sprouts, nutritious barley, tender sweet potatoes, crunchy pecans and brightly flavored pomegranate arils. All coated with a simple creamy dressing. In a small mixing bowl stir together mayonnaise, lime zest and lime juice. Season with salt to taste. 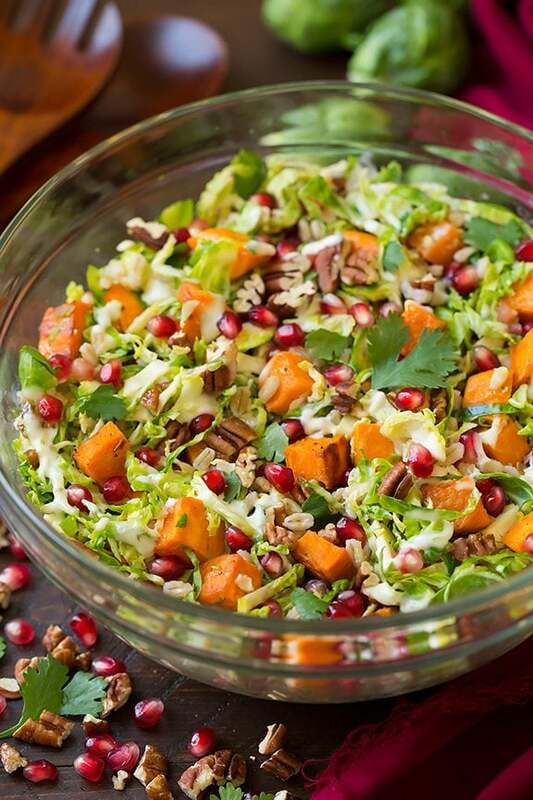 Place Brussels sprouts, barley, sweet potato, pecans, and pomegranate arils in a bowl. Pour dressing over top and toss to evenly coat. Garnish with fresh cilantro if desired. This is a sponsored conversation written by me on behalf of Lunchbox. The opinions and text are all mine. Thanks for supporting the brands I love which helps make this blog possible!